If you have been arrested for an Indian Shores dui in violation of Florida Statute 316.193 it is best to hire an experienced dui attorney in Indian Rocks who can assist you in challenging the charge. Without the proper representation, this arrest can cost you thousands! For instance, a first time dui offense is punishable by up to 6 months in the county jail! If you had a blood or breath alcohol level of .15 or above it could be 9 months! Can you imagine if you were incarcerated, unable to work or collect benefits for this amount of time? You could lose your job, your home, or even worse, connections with family or friends! Even if the judge does not see fit to impose a jail sentence, there are mandatory conditions that must be imposed. These conditions are the minimum sanctions required by law. The judge must order 12 months of probation. This will cost you a monthly reporting fee payable to the probation officer. The judge must also order fines between $500 and $1000 dollars and court costs. Court costs are usually between $300 and $500. You must attend and complete dui school and any recommended treatment at your expense. The dui school cannot be completed online. Dui school is usually around $300 to enroll and the treatment can cost between $20 and $50 a week. Your car will be impounded at your expense for at least 10 days. As you can see, this can all get very expensive very quickly!! In addition to the things that cost you money up front, the judge must also order at least 50 hours of community service and the judge must suspend your license for at least six months! The State of Florida charges an additional reinstatement fee after a dui to get your license back. And if you blew over a .15, once you get your license back, you must install an ignition interlock on any car you drive. This interlock device carried an installation fee as well as a monthly charge. All together a conviction for a first dui charge can cost you upwards of over $3000! Not even counting time lost from work, bail or bond money or increased insurance rates! If you have a second, third or fourth dui arrest, the penalties only increase! For a second dui offense you may face a MANDATORY 10 days in jail and a 5 year license suspension! For a third dui offense you can face a MANDATORY 30 days in jail and a 10 year license suspension! For these offenses you can be fined up to $4000. For a third or fourth offense you may face the potential penalty of becoming a convicted felon! This leads to more complications your civil liberties such as the right to vote or bear a firearm will be stripped away! That is in addition to mandatory jail time and increased costs. Dui lawyers in Indian Shores know that the punishment for even a first dui is harsh and expensive. When you hire an Indian Shores dui lawyer, that lawyer will make sure you do not suffer these penalties unnecessarily. The reason it is so important to hire an Indian Shores dui attorney is that the dui lawyer you hire can investigate possible defenses. Even if you took the breath test and “failed” the dui lawyer in Indian Shores that you hire may be able to exclude the result. A successful challenge in your case can lead to a result which saves you from the expenses and penalties listed above. The dui lawyers Indian Shores clients have representing them challenge the reason for the stop, the investigation, the breath or blood test results and many other facts and circumstances surrounding the client’s arrest. If the officer did something incorrectly, it may be possible to have the case dropped or reduced saving he client from the expense of the dui conviction! Eve if the case cannot be reduced or dismissed, the dui attorney you hire can try to negotiate the best sentence for you or represent you at trial if that is what you choose. At Finebloom, Haenel & Higgins we realize when it comes to dui attorneys Indian Shores residents have many options. At our firm we make it our priority to provide elite and personalized service to each and every client. We recognize that each person and each circumstance is different. We will not rest until we custom create a unique defense for you specially designed to achieve the best result for your situation. 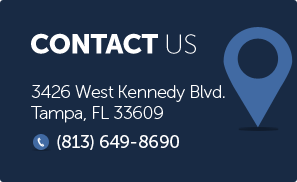 To see how we can assist you with your case call 813-200-4412 now! Our dui attorneys are available 24/7 to take your call. Let us help you in your dui fight today!